Don’t let your website get ransomed. Let’s take some time to understand what ransomware is and focusing on preventing it from taking your website hostage. Someone steals from you and hides what was stolen. A note is left telling you how to pay. You pay the thief with no guarantee of return. Or, you call for a security team with no guarantee of return. Moves your website to a secret location. Replaces your website with a program telling you how to pay for what was stole. This is the digital version of a thief leaving a note. You pay up with no guarantee of return. In both the physical and digital space there is no guarantee you will get back what was stolen. However, with the right planning ahead of time you can be sure ransomware won’t send you into a panic. Have regular backups of your website sent to multiple locations. Backups are your first line of defense against ransomware. Keep your website, computers, and systems up-to-date. Create and test a website recovery system. 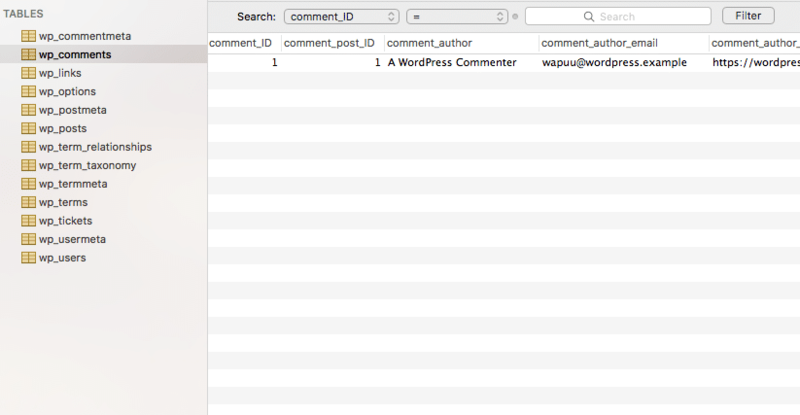 “wp_comments” is a database table and that table stores all the comments people make on the WordPress blog that uses this database. The table named “wp_posts” stores all the blog posts of the website. “wp_users” stores all the user accounts including usernames, emails, and password. Simply put, the database stores everything that is important to the website. Now, what happens to the database when it becomes ransomed? Take a look. See how all the yellow icons are missing and only one is left? A hacker stole this database and left a note. The note left on this website was ransomware. 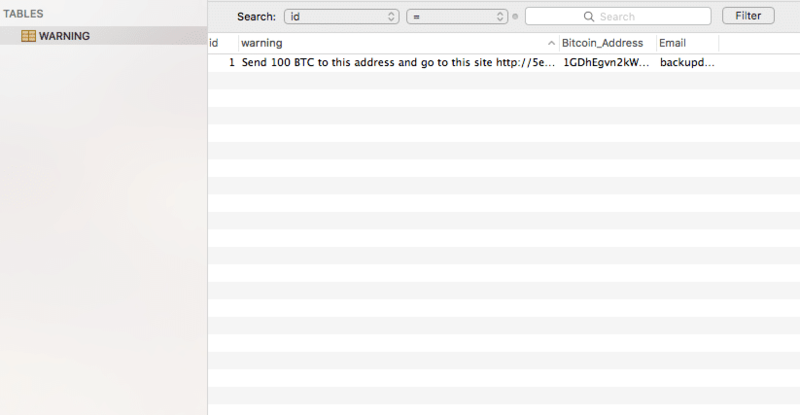 The ransomware was a little program that created a new database table called “WARNING” and required payment to a specific BitCoin account to get the good original back. This example was an old website that was not being visited. Over time software updates were released to fix newly discovered security holes but no one updated the site. Eventually, the outdated system was sniff-out by a robot like a hound on the hunt. Brute force attacks where the program tried thousands of username and password combinations in only a few seconds. SQL injection attacks cause a website to execute specific code it was not designed to handle. SQL attacks are specific attacks against a website’s database. When the SQL attack was launched against the example site it gave way. The website allowed the robot to steal the database and leave the note with the ransom notice attached. How Does the Hacker Get Away With Your Money? In short. BitCoin. BitCoin is not something to be ignored. Dave Ramsey has talked about it, Bill Gates has talked about it, and the media has covered BitCoin. BitCoins can not be frozen like a bank account making them ideal for hackers. This doesn’t mean that hackers can not be caught with their BitCoins. However, it does give them more flexibility since they do not need a bank account to accept currency online. Overall, ransomware is a real threat but if you have the right systems in place you can be ready. Be sure you talk with your team about how to overcome ransomware and ensure your recovery systems have been tested and are working. by Kevin Dees on August 8, 2017.